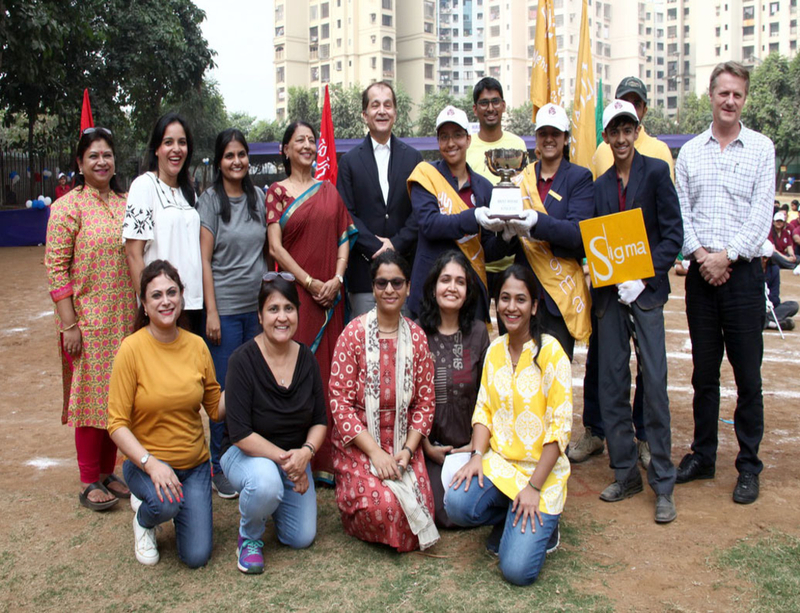 The Second Annual Athletic meet of HFS International, held on 4th December,2017, was presided over by honourable member of the trustee, Mr. Surendra Hiranandani and Mr. John Gloster. 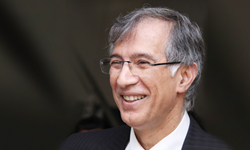 Mr. Hiranandani, Managing Director and Chairman of the Hiranandani Group of Companies, emphasized the role of schools to promote physical education among students right from a tender age. 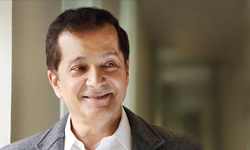 Mr. Gloster , an experienced physiotherapist for the last twenty-four years, former team member of Australian cricket team , opined that “physical literacy” is the greatest gift that schools can hand over to its students. 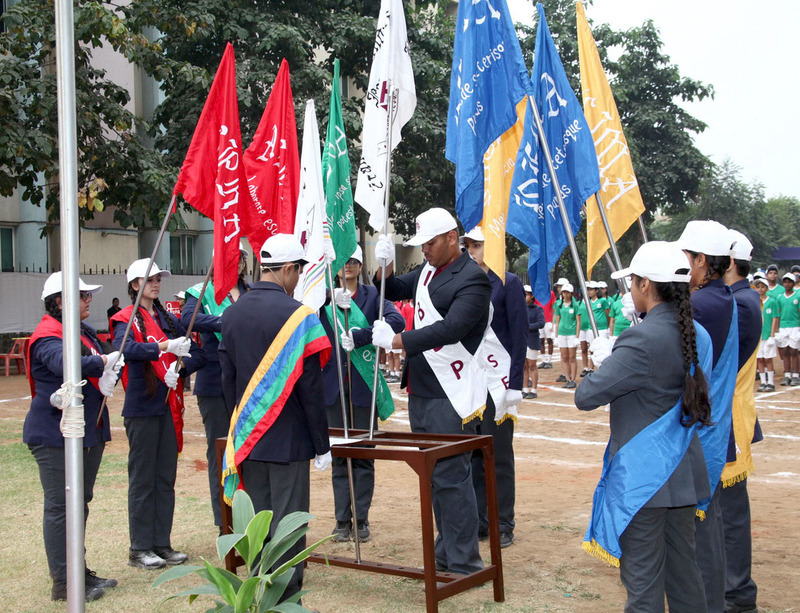 The Sports Day of the school commenced with the school song and the hoisting of the school flag by the Chief Guest, Mr. Gloster. The “March Past” of the four houses, Alpha, Beta, Sigma and Delta and the IBDP contingent, led by the Sports Captains, Pranav Vinod and Sabrina Singh, was a magnificent spectacle to behold. Equally impressive was the torch ceremony that heralded the inception of the day’s sports events. 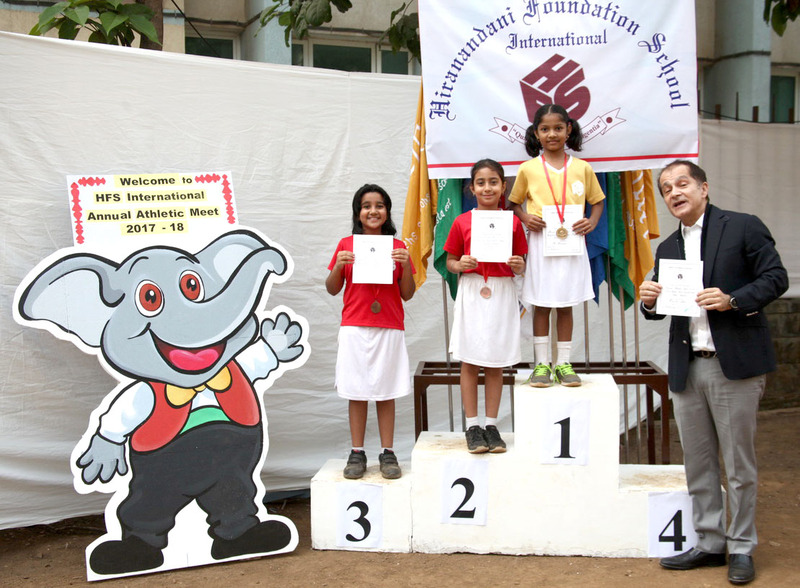 The school Mascot, ‘Happu – the elephant’, with its herd; little children dressed up as elephants, dancing and swaying to the tune of music stole the hearts of the spectators. The Mascot upheld the theme of this year’s Sports Day: “Water Water Everywhere, Conserve it if you really care”. The primary section of the school displayed a wonderful array of gymnastics that has been started from this year. The junior classes mesmerized the crowd by performing aerobics and rhythmic exercises that demanded agility, flexibility and ample coordination of the body and mind. A display of Taekwondo, a form of Korean martial arts, by the beginners and advanced students of the school, made us feel confident that having mastered the skill of self-defence, young students will be able to combat any kind of physical threats and challenges. The tracks and the athletics by Junior, Senior and Super-Senior students of the school drew excited cheer from the onlookers. With the parents stepping out to receive prizes for their participation in the balancing races, the events of the Sports Day were finally wrapped up. 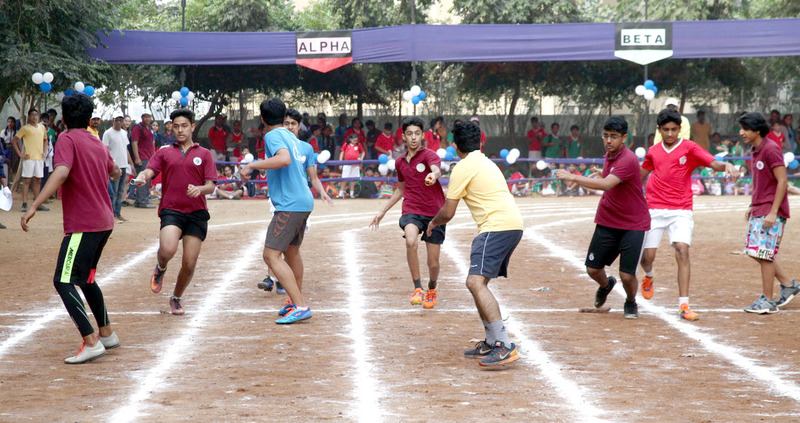 Prizes were distributed to the deserving students; the Individual Sportsperson Award was given to Sattviki Rishi (Senior Girls’ Category), Arnav Pandurkar (Junior Boys’ Category) and Pranav Vinod ( Super Senior Boys’ Category), the award for the Best House for March Past went to Alpha House, and the award for the Best House Trophy was given to Sigma House. With the school flag fluttering high, the children enthusiastically clapping and the teachers ever vigilant the Sports Day came to an end with promises to start afresh and brace up once again for the coming year.